Iranian President Hassan Rohani has arrived in Rome on the first leg of a European tour, his first trip abroad since a nuclear deal with world powers took effect. 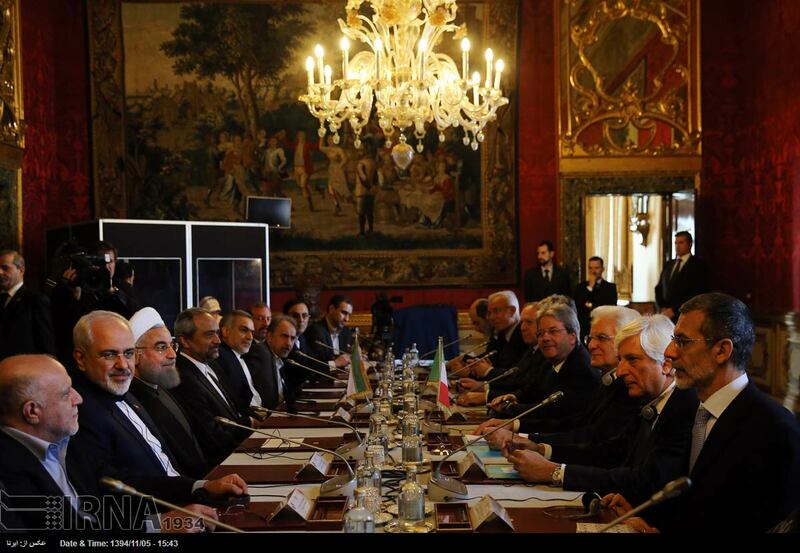 Rohani is being accompanied by Iranian entrepreneurs as well as the oil and gas minister and other government officials during the five-day visit to Rome and Paris. 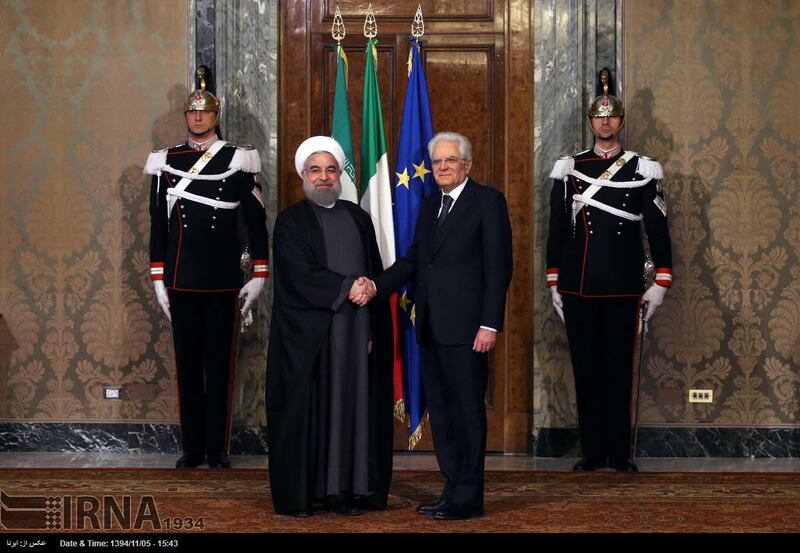 Iranian President Hassan Rohani (left) is welcomed by Italian President Sergio Mattarella at the Quirinale presidential palace in Rome on January 25. The Islamic republic is emerging from international isolation after the easing of economic sanctions on January 16 under a deal between Tehran and global powers to curb Iran's nuclear program. The move opens the door for Tehran to reach deals with companies in Europe and Asia. "This is a very important visit," an Iranian official was quoted as saying. "It's time to turn the page and open the door to cooperation between our countries in different areas." "Trust needs to be built. It's like love. It is only the proof of love that counts," a French diplomat said. In the Italian capital on January 25, the Iranian president is scheduled to hold talks with his Italian counterpart, Sergio Mattarella, and Prime Minister Matteo Renzi. He will also speak to a business group and meet Pope Francis during the visit. On January 28, Rohani will travel to Paris for talks with President Francois Hollande. Ahead of the trip, Iranian officials said Tehran planned to buy 114 aircraft from the French-based Airbus consortium. Transport Minister Abbas Akhoondi told journalists on January 24 that Tehran would discuss details with Airbus this week. Tehran has long said it will need to revamp an aging fleet, hit by a shortage of parts. During a visit by Chinese President Xi Jinping to Tehran on January 23, Rohani said Iran and China agreed to expand bilateral relations and boost trade to $600 billion over the next 10 years. The sides signed 17 documents and letters of intent, including on nuclear cooperation and reviving the ancient Silk Road trade route. The Iranian president has said Iran needs up to $50 billion a year in foreign investment to meet its economic growth target of 8 percent.